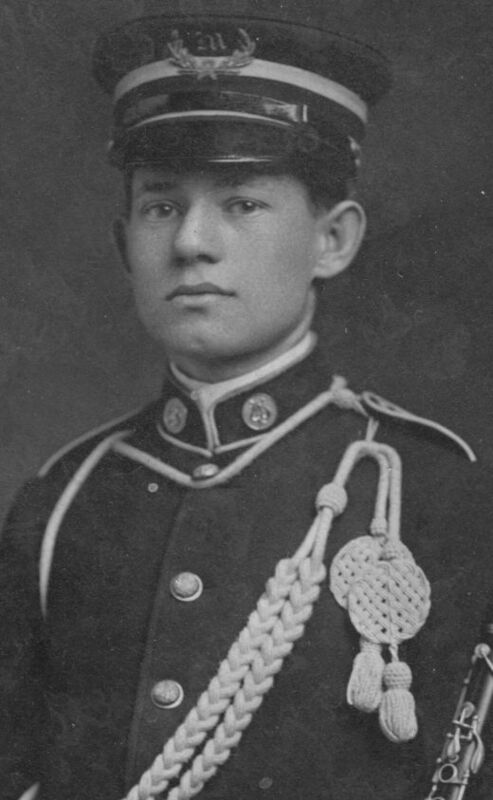 Musician, Pennsylvania National Guard, c. 1910. 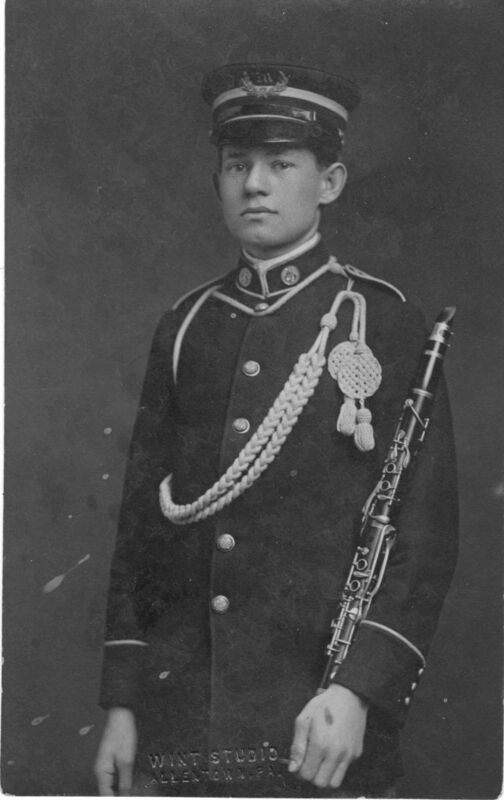 This musician (I cannot say whether the instrument is an oboe or a clarinet) wears an Old English “M” within a wreath as his cap badge, but no clue as to his unit. Since the photographer’s studio is indicated as in Allentown, Pennsylvania, and no Regular Army garrisons were in the area, I presume this man to be from the National Guard, probably the regimental band of the 4th Infantry whose companies were scattered around the area. 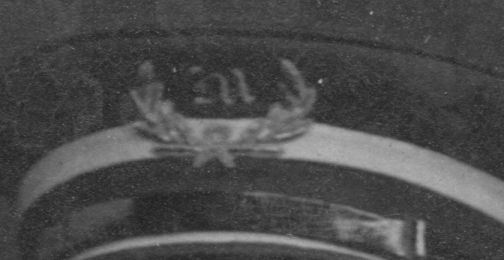 The cap insignia is non-regulation, at least in regard to the regular U.S. Army. 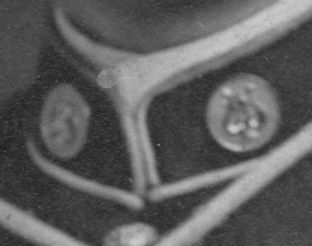 Collar disks with lyres, of varying patterns, were widely used by U.S. and National Guard musicians.